The Millennium Comet is about to make its long-awaited appearance in the sky again, supposedly granting the wishes of all those who see it in the skies above them. Of course, Ash and friends are equally interested in the Millennium Festival, especially when they attend a magic performance by the Great Butler. Even more interesting is the mysterious cocoon in Butler's possession-from which Max hears a mysterious voice calling! When Jirachi emerges from its slumber, Max has a new friend-sadly, it's only for the brief few days that the Millennium Comet appears in the sky. Max is anxious to make the most of his time with his new friend, but the Great Butler has his own plans for Jirachi, which are not so friendly. 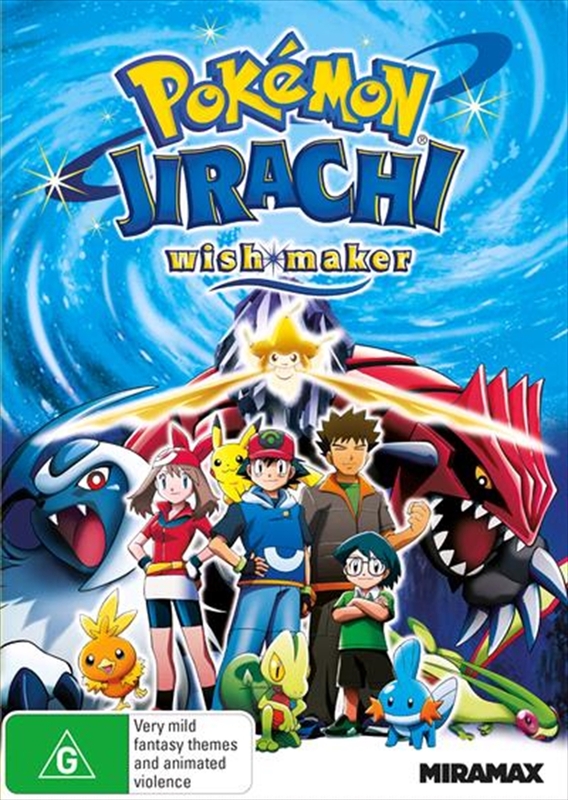 He wants to revive the Legendary Groudon, and Jirachi just might be able to grant that wish.Can Max, Ash, May, and Brock stop Butler and save Jirachi before Groudon reappears to reign destruction over the land?